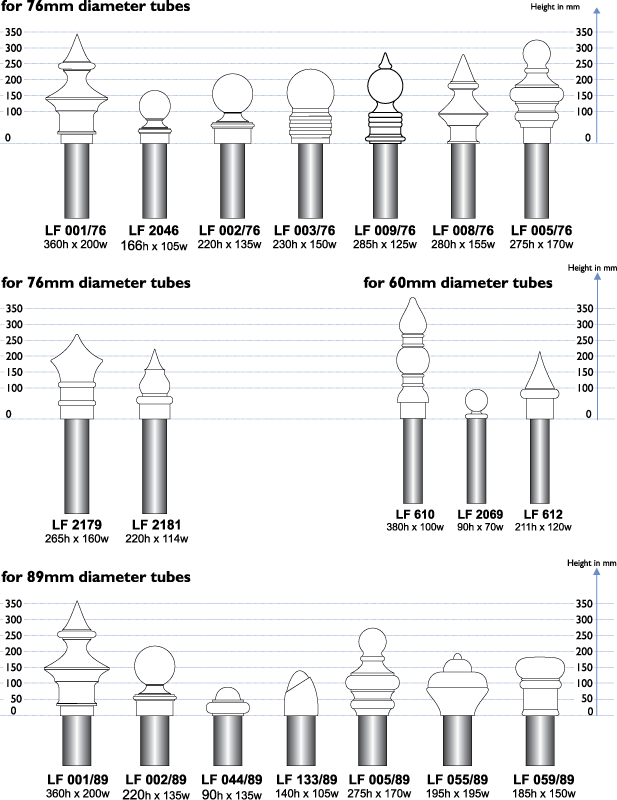 We really do have a LOT of finials! Most are designed to fit over standard tube sizes such as 76mm or 89mm, but there are others which suit the top of a roof or any kind of domed structure. All are illustrated in the Architectural Castings pdf which can easily be downloaded.